Calco UK is proud to announce our new U Build IT service. 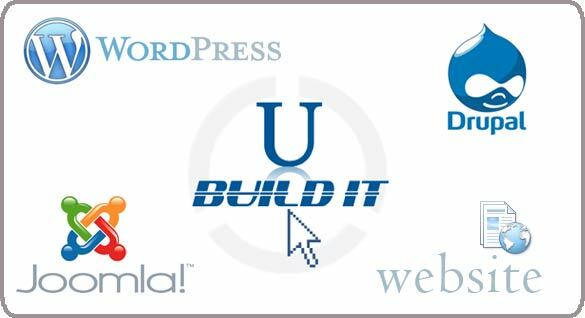 What makes this system different from all the others is the ease with which you can create a brand new website or create stunning templates for Content Managment Systems such as Wordpress and Joomla. Make an appointment to come to the studio bringing your photos and text with you. A Memory Stick is a good method. Sit down with an expert to answer any questions and show you how the software works. If you prefer to tell us what you want and have us operate the software - thats fine too - its the same price either way. 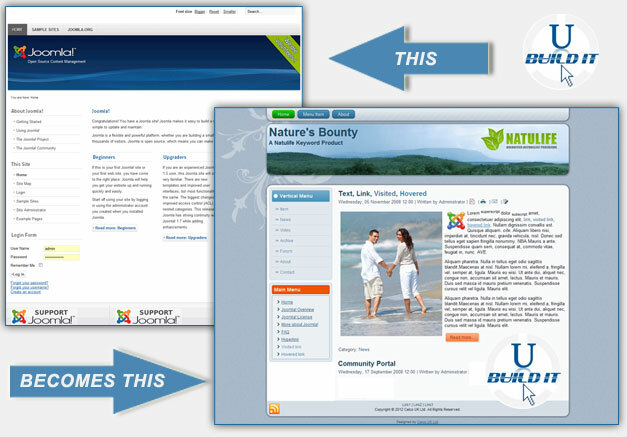 Decide whether you want a website or a set of blank templates for a Content Management System and click. Choose from a selection of block layouts where each of the key elements will be and click. Imagine how the blocks will look and click - or choose from pre-configured palettes. There is even an inspire me button that picks a design element at random choosing colours from within your colour palette. If at any time you need help, we are right there to assist in any way possible. ... your new website is just a click away! partial** means we know what we are doing with these CMS and can install your templates. However with new versions there may be a learning curve when its comes to the more advanced aspects of the system. build only* means we dont support the finished work as applications. This is because .NET and ASP code are not areas in which we specialise. SO .. while we ARE happy to produce basic website frameworks in this medium, we cannot assist you with the day to day management of these systems.